Cast: Nick Robinson, Katherine Langford, Alexandra Shipp and Jorge Lendeborg Jr.
We all have this one huge-**** secret. 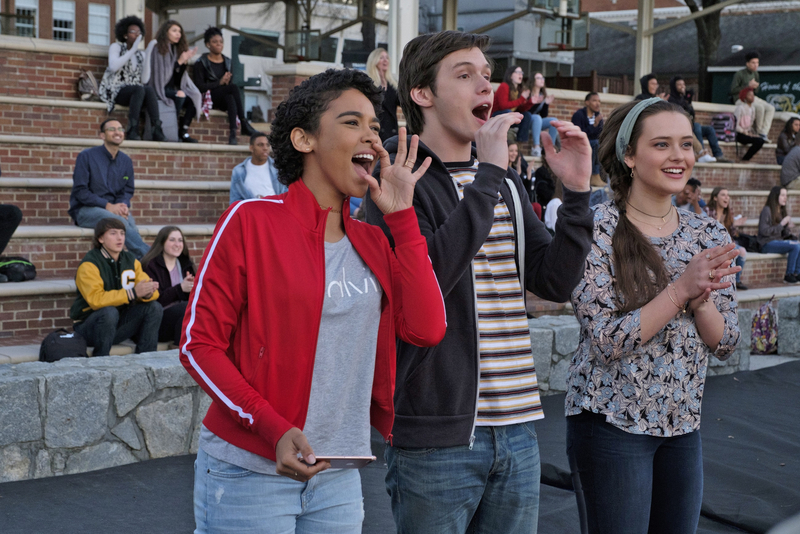 Love, Simon explores the complexities of self-discovery, acceptance, and coming out. 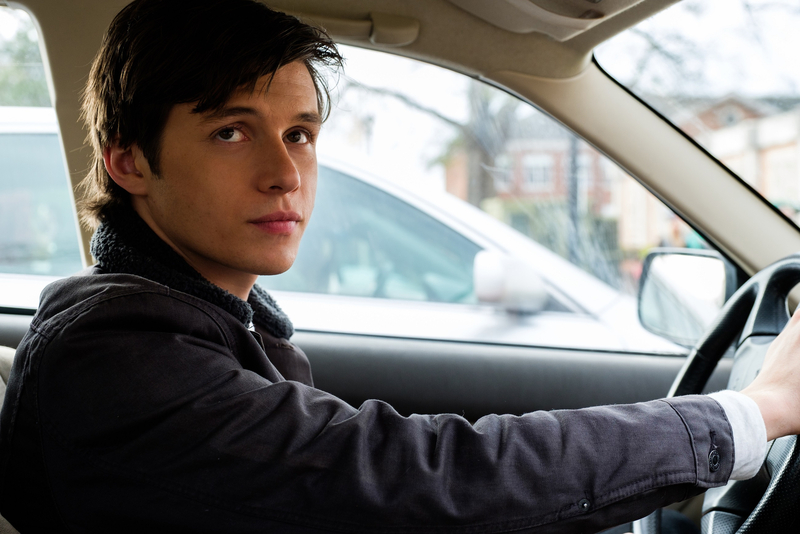 This coming-of-age film appeals to audiences through the character named Simon Spier (played by Nick Robinson), a typical teenage boy with a supportive family and great set of friends, who comes to accept his sexuality at an early age but keeps it a secret for fear of rejection from loved ones and the people around him. Together with Greg Berlanti’s execution of teenage drama last seen in Dawson’s Creek, the film connects well with the audience, working on the premise that each of us has a secret to tell and that self-discovery and acceptance is both universal and human. 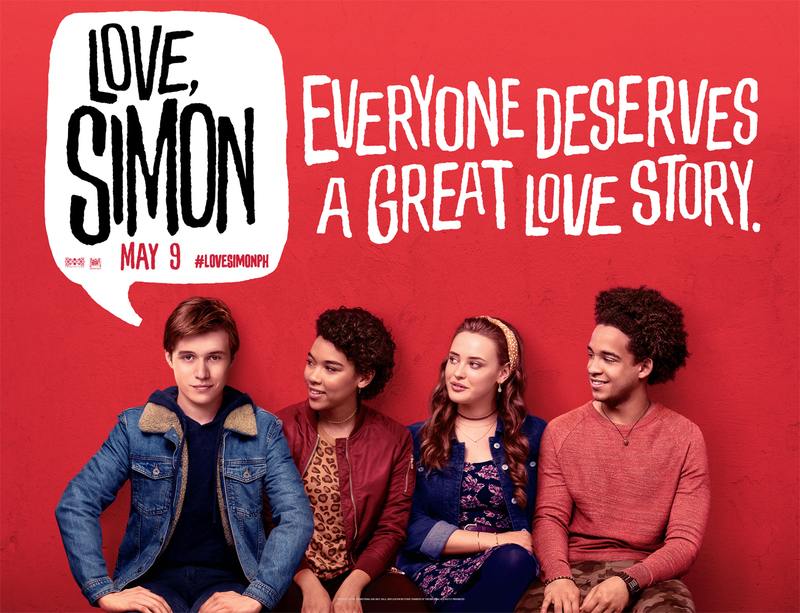 Simon’s coming out story begins when a schoolmate codenamed “Blue” confesses online that he is gay. As he tries to discover the person behind the anonymous account and find a confidante who can relate to his struggles as a closeted teenage boy, Simon exchanges e-mails with Blue and together, they slowly worked their way to coming out to be who they really are. However, Simon’s secret and interest for Blue was put in danger when someone blackmailed him, forcing him to balance the safety of his secret and his relationships with friends and family. While the film works around an LGBT-themed plot that is very much familiar, it still offers a fresh take on coming out, devoid of the usual cliché’s seen in most movies where the treatment often times becomes overly dramatic or tragic. Love, Simon was able to remain tender and affectionate, balancing the heaviness and seriousness of coming out with the bliss of romance and assurance. Although the film does not totally present LGBT issues and their realities, the plot works well through a portrayal of a loving and liberal society that welcomes diversity. It works its magic by leaving the audience hopeful for an accepting society through a protagonist who everyone can relate to. Simon’s story of emancipation is not only reserved for those in the LGBT community, but for everyone who seeks to free themselves from all sorts of struggles to be who they really are. Aga ng review. Looking forward to this one. Ill share my view po. Once nanood ako sa 30. I knwo there's so much hype with the movie. I know how it was received well by critics. Pero coming from someone who read the book, mas kinilig ako sa book. Iba talaga 'pag nasa book. You can't help but compare. The movie failed to make me kilig. The story is light and kilig. I have seen the movie around 3 weeks ago and maganda naman ang build up ng story.